EUROGEO is a partner in the SeaChange Horizon 2020 Project (2015-2018). Design and implement mobilisation activities focused on education, community, governance actors and directly targeted at citizens. Ensure knowledge exchange with transatlantic organisations. Sea Change is an EU H2020 funded project that aims to establish a fundamental “Sea Change” in the way European citizens view their relationship with the sea, by empowering them, as Ocean Literate citizens, to take direct and sustainable action towards a healthy ocean and seas, healthy communities and ultimately a healthy planet. By using the concept of Ocean Literacy, Sea Change will create a deeper understanding amongst European citizens of how their health depends on the health of our seas and ocean. 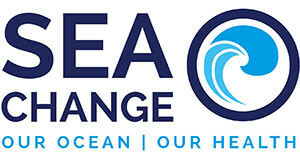 Sea Change will move to bring about real actions using behavioural and social change methodologies. Building upon the latest social research on citizen and stakeholder attitudes, perceptions and values, the Sea Change partnership will design and implement mobilisation activities focused on education, community, governance actors and directly targeted at citizens. These actions will be assessed for their effectiveness which, in turn, will allow the project to improve its techniques and spread a “Sea Change” in behaviour across Europe.